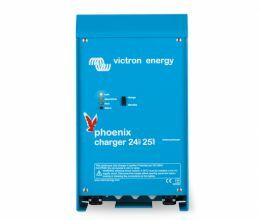 Coated electronics, aluminium enclosures and components over-sizing have made Victron Energy the reliable choice for the rugged environment of the engine room. 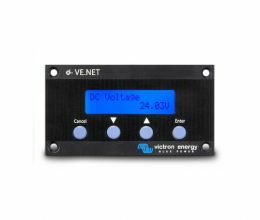 Innovative features such as the ability to operate multiple inverters and inverter/chargers units in parallel make it possible to built extremely reliable systems with inherent redundancy. High modular designs enable reduced installation costs as well as reduced costs for spares. 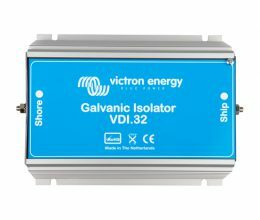 With the pure sine wave inverters from Victron Energy u always and everywhere have silent electricity. 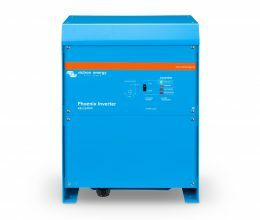 The Phoenix-series sine wave inverters Victron Energy have been developed for.. 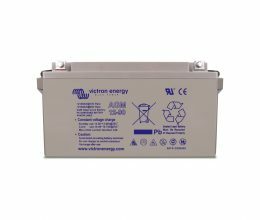 The battery chargers from Victron Energy are designed for professional use. They are suitable for a variety of devices with high and low start capabilities. Isolation transformers are indispensable in professional marine installations. An isolation transformer prevents electrolytic corrosion and also ensures a safe electrical system . All models with adjustable output can also be used as a battery charger. 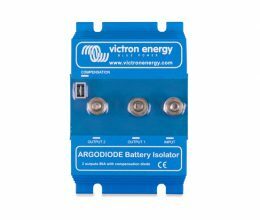 Diode Battery isolators make simultaneous charging of two or more batteries with a single dynamo possible, without connecting the batteries with each other. 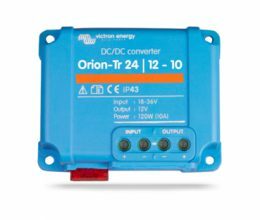 The AGM range is by the very low internal resistance ideally suited for applications with high current flow, such as inverters, bow thrusters, winches and starting motors. Allows remote control and monitoring.